If you’re trying to decided between wallpaper or paint, you need to be aware of which one is the best for your particular situation. Here are a few tips for you to consider. When you’re going the paint route, then you may want to consider painting one wall a bright color and then make sure all the other walls are neutral. This is a good idea because it makes that bright wall the focal point, which help you to focus the eyes of people who are in the room pay more attention to a certain spot in that place there. It’s better to have an idea of which things are in the room that you want people to focus on before deciding which wall to make the bright one. Wallpaper is definitely a good option now, because applying wallpaper these days isn’t as hard as it used to be. Not to mention it can be used in more ways than paint to shift the focus of the room. For instance, you can use it to highlight the sink in your bathroom, or use it behind your bed in the master bedroom. A lot of people don’t really realize that it’s just peel and stick these days. You don’t have to do much more than that, so it’s a lot easier than painting and looks great. Utilizing wallpaper is especially easy when you consider that you can get just about anything printed onto it. While you may think you have just whatever option is at the store, that’s not true. You can find people that will make any kind for you and so you can make it feature your favorite things from teddy bears to lettering with your name. It’s important that you find a good printing service that is well reviewed. They should be able to get you started and you can have a lot of choices even if you don’t know what to use as the image on the wallpaper. The ease of application is what makes wallpaper such a fantastic way to decorate a room. 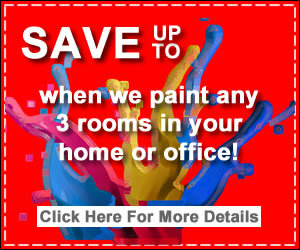 Painting is not only messy, but if you do it wrong then you’re going to have to redo it and that can cost you. However, you can also mix paint with wallpaper, so that way you can have the best of both worlds if this is something that you are interested in doing. Either way, remember that when applying wallpaper to be slow and careful so that it doesn’t have any air bubbles or other issues like being crooked. When you find out if you should use wallpaper or paint, you can then begin to do your project in the right manner. Take your time with this and you’ll see that the results will make your home look its best in your eyes and in the eyes of your guests!